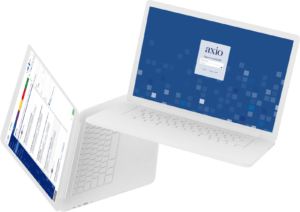 At Axio, we are committed to helping companies quantify the impact of a potential cyber event. What would it mean to a company’s bottom line? What vulnerabilities exist in an enterprise’s security controls and insurance programs? And from an investment standpoint where does it make the most sense to effectively reduce cyber risk? For all these reasons and more, we are extremely pleased to announce a new strategic partnership with North Highland, a global management consulting firm. We will be providing North Highland’s energy and utilities clients with our unmatched technology and services, all geared to addressing and protecting against cyber security events. · Exposure Quantification. Understanding the types and scale of financial impacts that could arise from a complex cyber event. · Cyber Program Evaluation. Measuring the current maturity of the cyber security program, establishing a targeting profile, and building the plan to achieve higher maturity. · Insurance Analysis & Stress Test. Understanding the organization’s ability to recover from a complex and costly cyber event, and how the insurance portfolio will respond. Utilities are evolving fast through digitization. More assets are getting connected today than ever in order to become agile, customer focused and innovative. This leaves the sector vulnerable to cyber attacks, as has been witnessed throughout the world in recent years. Ever since the Federal Energy Regulatory Commission approved mandatory cybersecurity standards for the nation’s grid, self-proclaimed gurus and experts have been making a headache of things. The Critical Infrastructure Protection (CIP) standards are one of the few compliance requirements that can monetarily penalize asset owners/operators for poor cybersecurity hygiene. And all the cool kids want to be CIP “ninjas.” But how do hiring managers, engineers, or IT peers know that the person they are talking to is really a CIP master? The exam is great for life-long CIP experts and newbies who want to take that next step in their career. Moreover, it covers the entire CIP universe—so you know any GCIP certified personnel will be a well-rounded security professional with an understanding of compliance, technical aptitude, and all the various components to not just be compliant, but to be secure. The certification is accompanied by a course from SANS, the foremost leader in security training, which I also teach—ICS456: Essentials for NERC CIP (https://www.sans.org/course/essentials-for-nerc-critical-infrastructure-protection ). The course is not a prerequisite for taking the certification, but the amount of information we give you over 5 days (and 25 hands-on labs!) will definitely help out any one looking to prove themselves with the GCIP. The GCIP officially goes live in February, just in time for my next run of ICS456 in Anaheim, CA (https://www.sans.org/event/southern-california-anaheim-2018/course/essentials-for-nerc-critical-infrastructure-protection) ! NIST releases the Cybersecurity Framework V1.1 Draft 2 with new guidance. In February 2014, the US National Institute of Standards and Technology (NIST) released the first version of the Cybersecurity Framework (CSF), as directed from Executive Order 13636. Later that year, Congress passed the Cybersecurity Enhancement Act and solidified NIST’s role with critical infrastructure owners and operators, through support and facilitation of cybersecurity risk frameworks. Over the past three years, NIST has held multiple workshops and collected comments across industry, academia, and government agencies. Axio has worked alongside this team in many ways over the last three years. Several members of our team, including Dave White, Nader Mehravari, Lisa Young, and Pamela Curtis, participated in the original NIST CSF drafts and workshops for transportation, healthcare, and financial sector perspectives across industry and academia. At the time, my role at the US Department of Energy was to ensure the NIST CSF would not conflict with existing efforts, like the mandatory compliance with the North American Electric Reliability Corporation (NERC) Critical Infrastructure Protection (CIP) Standards or the voluntary Cybersecurity Capability Maturity Model (C2M2) efforts. Moreover, I collaborated with industry members across the electric and oil and natural gas sectors to ensure the CSF would work for their operating environments, regardless of size, function, or ownership. This critical work led to the Energy Sector Implementation Guidance document for using the NIST CSF. Over nearly four years, industry has grown with the CSF. We have seen its adoption across multiple sectors, especially finance, healthcare, and water. While we have personally seen great success with measuring the CSF through the C2M2, many organizations have adopted different methods for assessing their adoption of the CSF. Moreover, we have seen more organizations talk about CSF functions when working across their cybersecurity supply chain, including asking suppliers to provide evidence that they are meeting contractual cybersecurity obligations. Critical infrastructure cybersecurity programs have matured as a result of the CSF dialogue since the first version was released. A roadmap of additional discussion topics. These new additions are meant to augment the existing CSF, meaning there is no gigantic overhaul for organizations that want to incorporate the new recommendations. That being said, without a preferred method to self-assess to the CSF, most organizations will need to either create their own metrics program or leverage a facilitator or third-party tool. There’s a lot to consider with this new update. Axio will be working with our clients to ensure industry benefits from clear, concise, and actionable guidance. In the coming weeks we will examine the latest draft and provide our thoughts on some of the key topics, including security metrics and supply chain considerations. Until then we’re here to help— and if your organization has any questions about the latest draft, feel free to reach out to us at info@axio.com .